Expanding the kitchen into an existing garage made room for everything on the clients’ wish list. 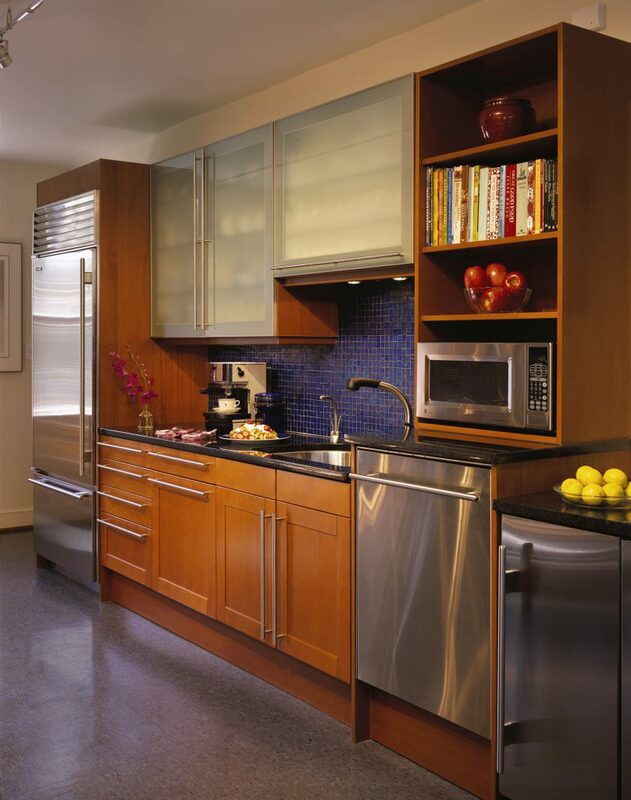 A four-foot range and hefty hood fan combine for a pro-grade centerpiece on one wall of the galley kitchen. 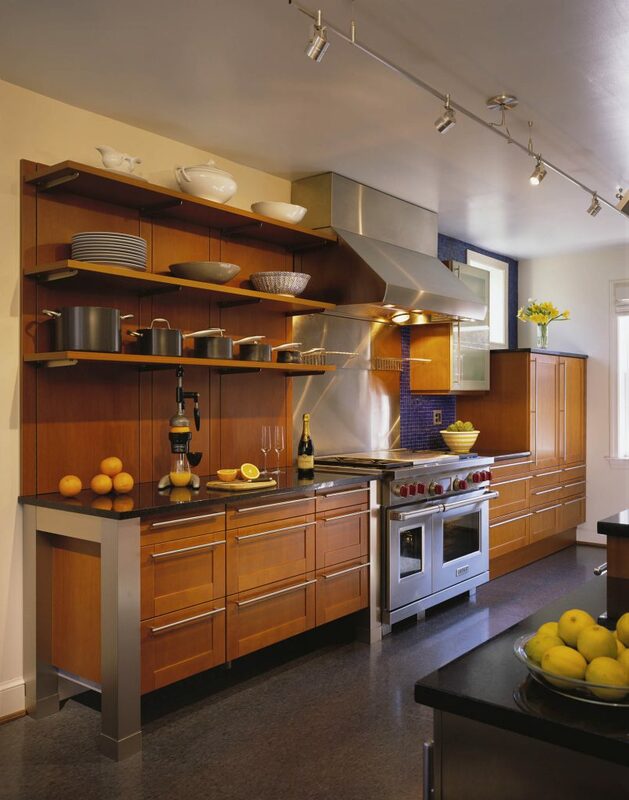 Floating shelves keep hefty pots at the ready, while chunky stainless legs and substantial drawers add mass to the sturdy design. A stainless fridge and wine bar hold down either end of the opposite wall, where the stainless dishwasher—raised for easier loading—fits right in. 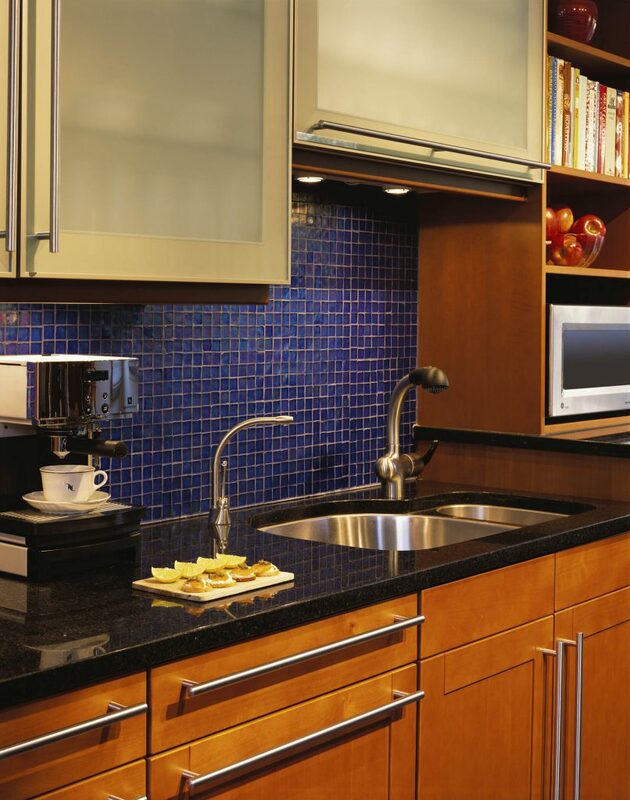 With the azure mosaic backsplash and slender stainless pulls, this light-filled kitchen is miles away from its former identity as a garage.